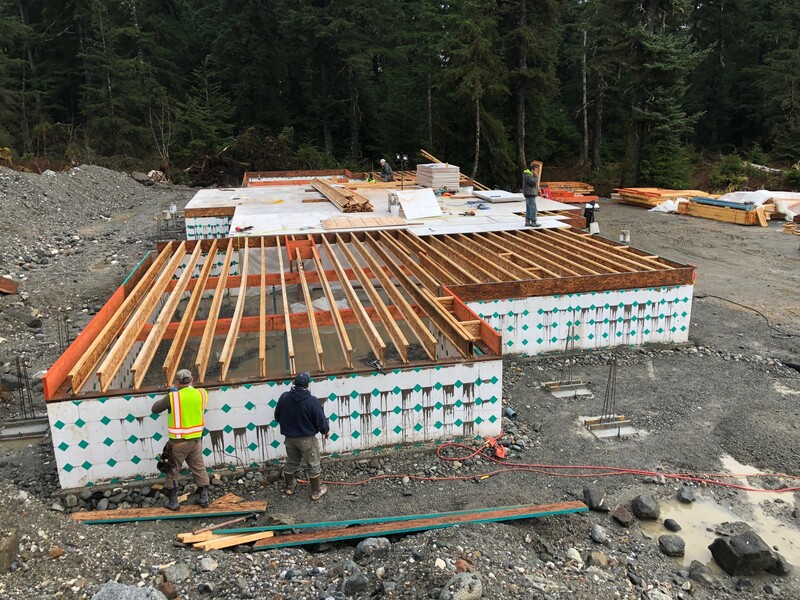 The four-plex construction is part of the Yakutat Tlingit Tribe Housing Development Department’s inaugural projects, which is made possible by YTT’s NAHASDA funding and our partnership with Tlingit Haida Regional Housing Authority. 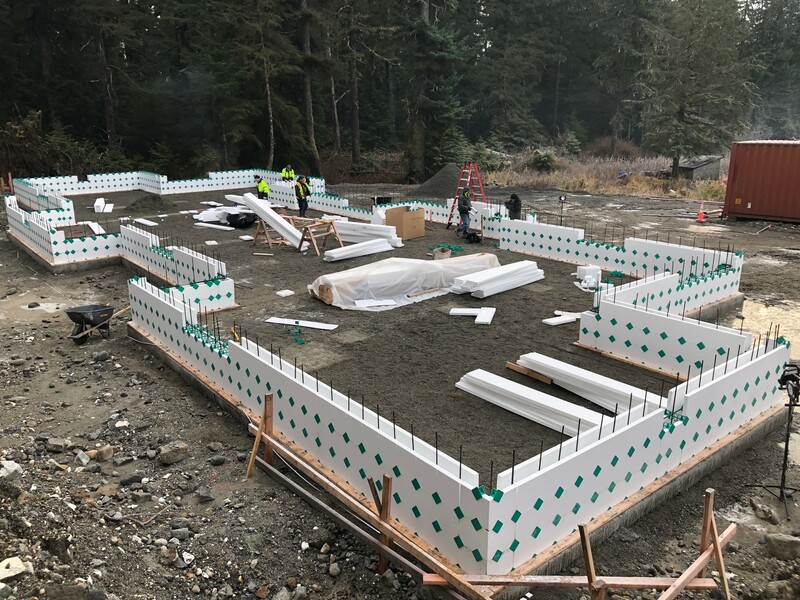 The Tribe’s 4-Plex construction project is in full swing and we have been fortunate the weather has been cooperating thus far. 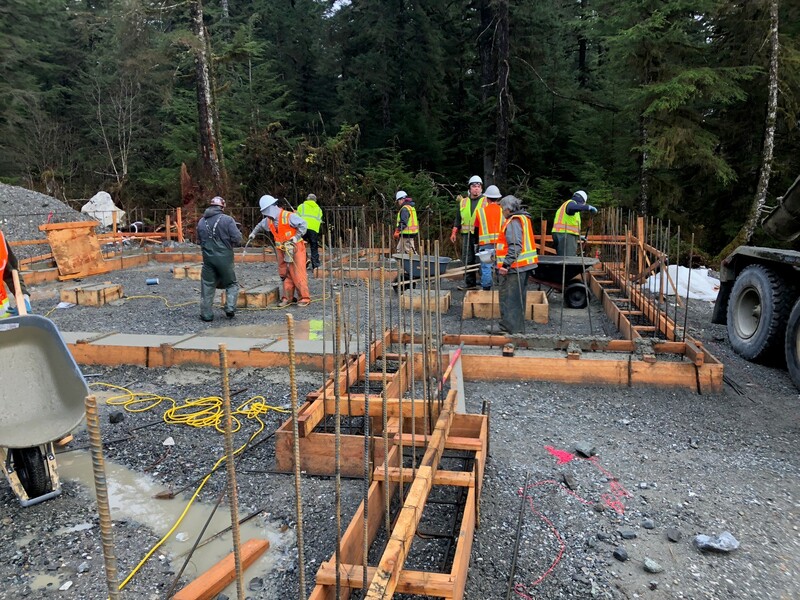 Our construction crew are working rain or shine and it’s been wonderful to see a lot of local labor assisting with this project, which is exactly what the department has envisioned since it was formed. 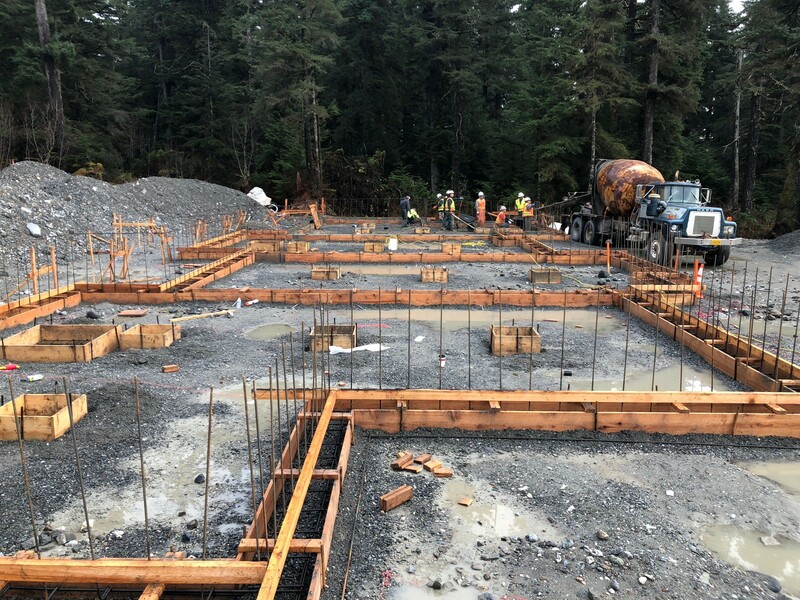 We broke ground at the beginning of September 2018 with clearing, grubbing, and importing fill with the assistance of Pate Construction. 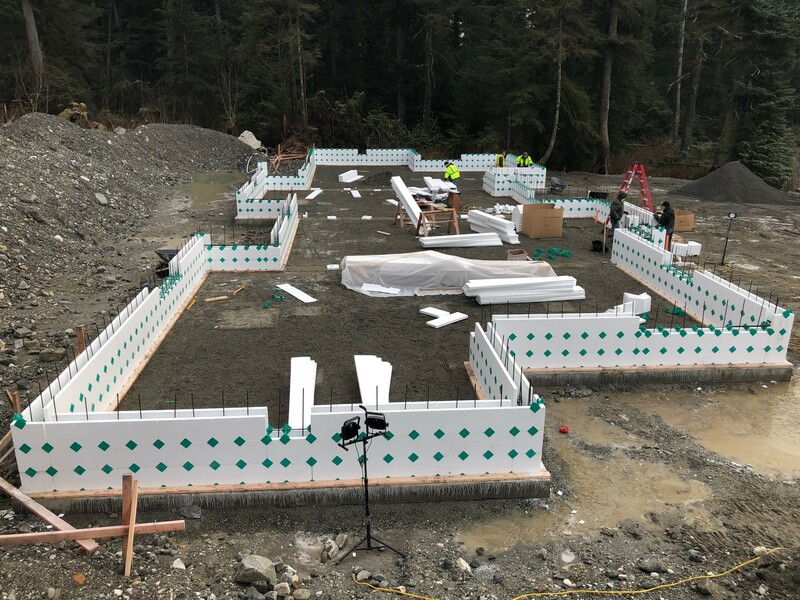 The foundation and stem walls were formed, poured, and stripped by the end of September and into early November. 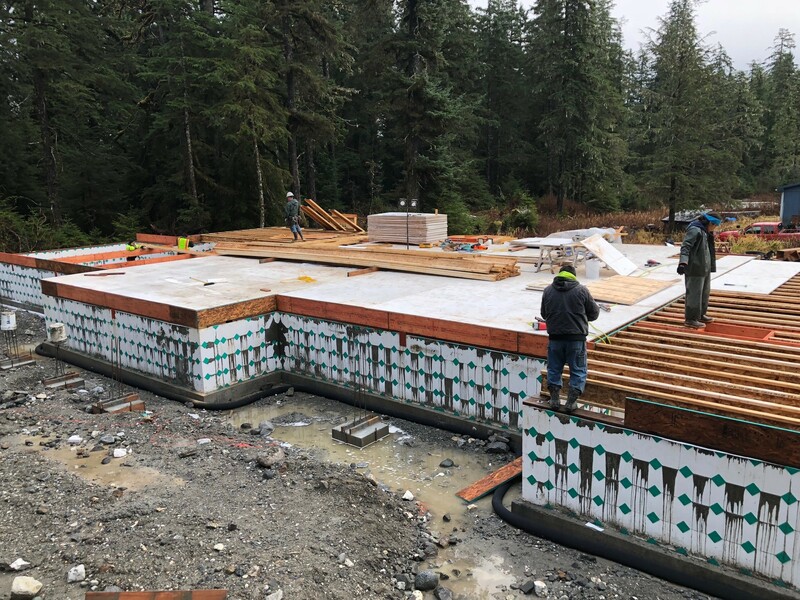 The crew immediately began working on the deck and framing the exterior walls and the final trusses were set by the end of November. 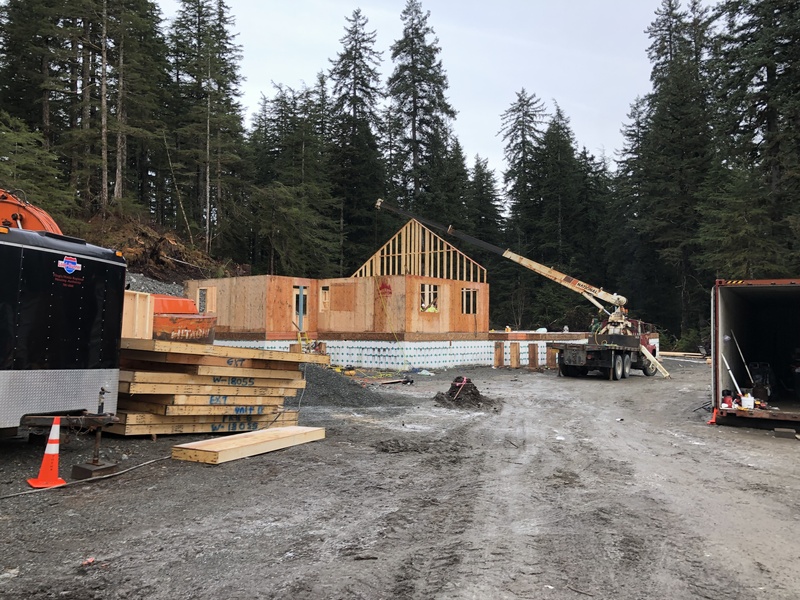 The crews are racing against Mother Nature to get the roof on before a major snow event takes place. 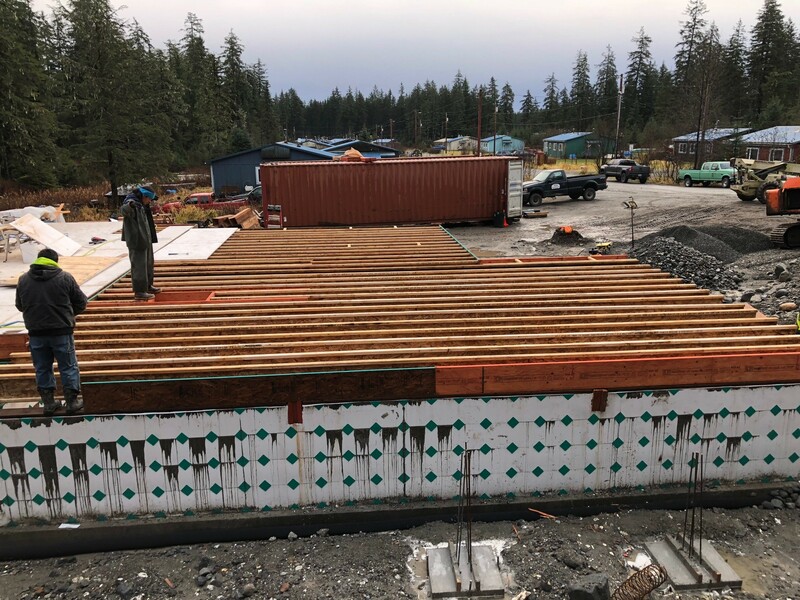 The project will run through the winter and into early spring of 2019. 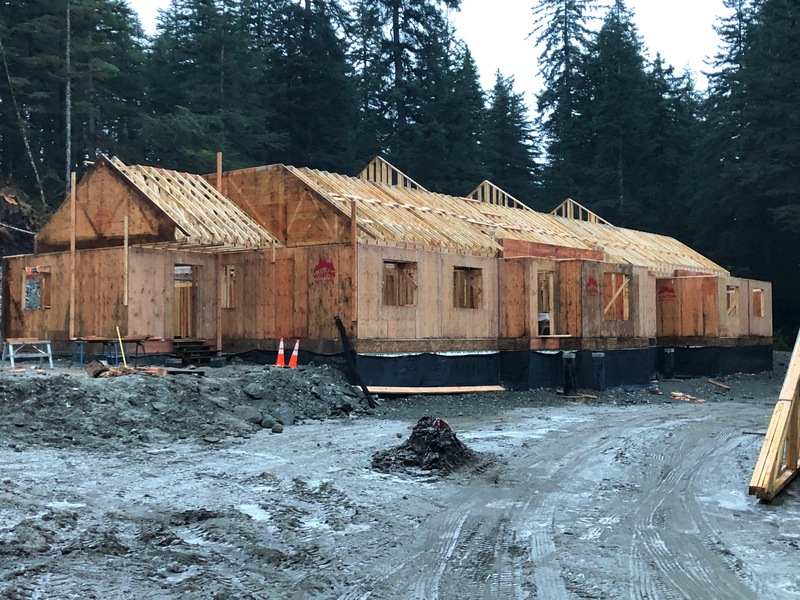 The configuration of the 4-plex will be two 3-bedroom apartments and two 2-bedroom apartments and will service both low to moderate income families as well as essential families as designated by the YTT Tribal Council. 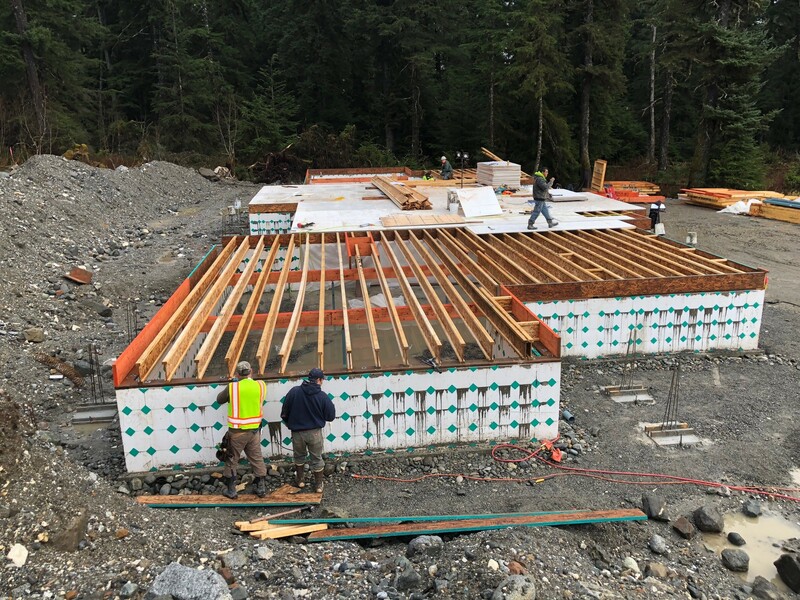 This is only the first housing development the Yakutat Tlingit Tribe will undertake and YTT staff will continue to write new grants for additional housing in Yakutat.